After today’s guest was crushing it in the corporate world and climbing the ladder at a breakneck pace, she experienced a health crisis. Knowing full well that something had to change, she decided to re-invent herself and her career – on her own terms. 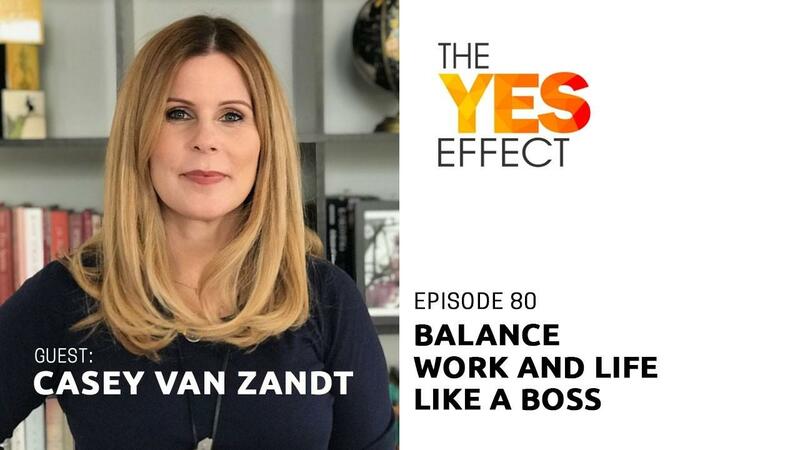 She’s the creator of The Mindful Hustle; her name is Casey Van Zandt, and this is The Yes Effect Show! Casey is speaker, business consultant, and yoga teacher. She uber-committed to helping successful Entrepreneurs scale their businesses, banish burnout, and balance their work and life. A Lil beat on Casey’s background, she climbed the corporate ladder for 13 years and was completely obsessed and addicted to her career. She’s an ex-corporate executive, and recovering workaholic turned balanced entrepreneur. Her spirit animal is the sand dollar and has a collection of hundreds she’s found on her afternoon seashell adventures. She loves yoga pants, chapstick, has zero time for small talk and prefers deep convos w/ her soul sistahs, and is hands down obsessed with mushroom coffee + lions mane. Special thanks to Casey Van Zandt for joining me this week. Until next time!